It is often forgotten in all the clamour around the major festivals that these are not the only choices for musical entertainment in the summer months; there are hundreds of festivals that occur throughout the country on a much smaller scale. These are important to the industry not only as a cheaper and often more convenient alternative for the consumer but they give burgeoning artists the opportunity to play to a much larger crowd than they would normally be used to; giving us fans the chance to discover new talents that would go otherwise unnoticed. 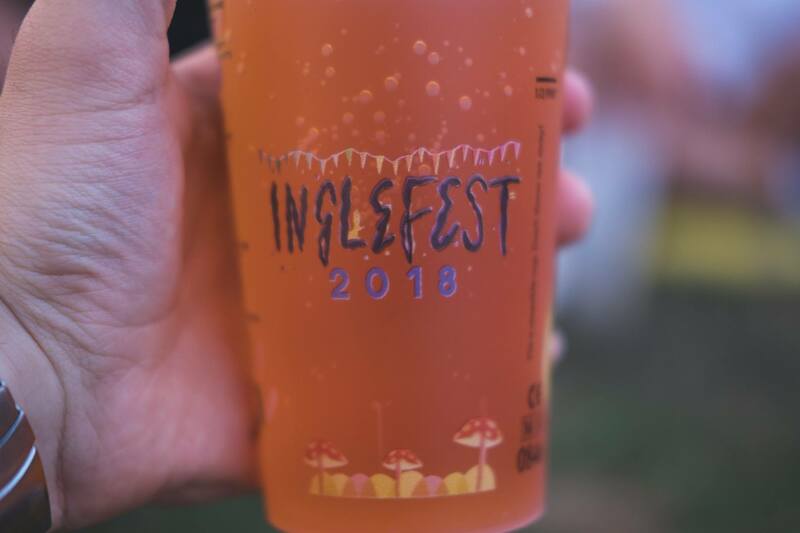 In this vein, I was recently at Inglefest – a (largely) family run festival in the countryside of the Cotswolds and it really personified everything that works so well about festivals, without ruining it with an outrageous volume of people or by having a reputation attached to it. 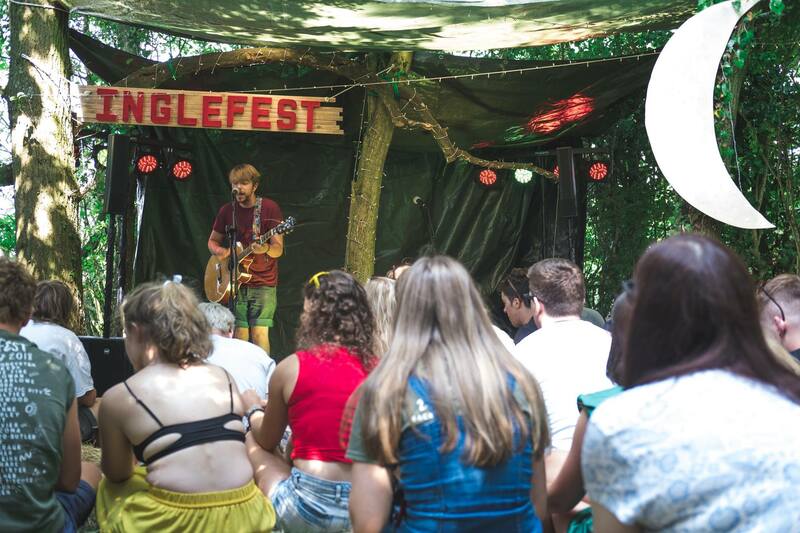 You can really tell that this is a personal project to those involved; Inglefest started in organiser Will Robson’s back garden when all his friends were bored one summer and despite the growth, it still has that garden party feel! All of this contributes to a very safe atmosphere, where it is so easy to have fun because you’re not on edge for your safety in the crowds and you know that not many – if any – people will be there to get involved in the typical festival drug culture. Small festivals, and Inglefest in particular, are strictly good vibes only; this means that the main factor for enjoyment of the festival is the music – which is as it should be. At smaller festivals, the line-up has much less of a pulling factor to sell tickets than larger counterparts experience: obviously, as the big festivals have big budgets to book big artists. A lack of knowledge of the musicians playing, however, is no indication of a lack of quality – despite this being the likely stumbling block for ticket sales at similar events. This really showed at Inglefest, with tonnes of brilliant music across the two-day festival. My personal highlights were Two Day Coma – a soft indie three-piece from Bristol who possess a sonic maturity well beyond what a band of their stature normally would. The casual ease of their music fit the countryside surroundings and the early evening slot perfectly on the Friday – they exude a comfort with the stage that makes them so easy to watch and listen to. This was similar to Charlotte Lloyd-Butler, playing at this time on the Saturday allowed the crowd to simply hover around the stage and appreciate the purity of her silky, London Grammar-esque voice as it flowed across their ears before the bouncing beats of the night’s entertainment in the name of Tree House Fire – a rock-come-reggae-come-ska band that on paper may seem strange but really worked in reality. They were by far and away the most inviting band to play over the weekend, drawing in a massive crowd in next to no time at all with their exuding stage presence and upbeat music. Tree House Fire were one of quite a few bands to benefit from being preceded by a popular band, in this case the infectious indie-poppers Nakamarra. Credit for this success must lie with the organisers of the festival, who are committed to a routine where acts don’t overlap; instead playing one at a time across two main stages – The Toadstool and The Hare. This worked really well as it meant that the audience was rarely left to its own devices, instead maintaining focus on the bands at hand because of the lack of overlaps or big breaks in the music. By far the most successful stage was the Forest Sessions stage: set back amongst hedges and trees in a much more intimate environment, the hay-bail seating was packed throughout the afternoon and into the evening whilst performers were on. The stage also worked well because it was so close to the camping facility; the Forest Sessions acted as a stepping stone to the day by inviting people away from their tents. This was the perfect environment for the more relaxed performers as it gave a stage to some of their more personal material: for instance, SLONK’s ‘Pursuing A Career Outside of Conveyancing’ tells a story of disenchantment from one’s current circumstances; Nederveen also enchanted the stage with his youthful, soulful voice draped over folkish guitar – he is a man that deserves a bigger audience. The main theme of the Forest Sessions was ‘acoustic’, Callum McAllister and Xander Share – the frontmen of Toodles and the Hectic Pity and Dead Royalties, respectively – and Kate Stapley all took the stage performing a much more stripped back and chilled set than their later high energy performances and artists such as Sean McGowan and Molly-Anne benefitted from such a stage fitted to their acoustic guitar driven styles. 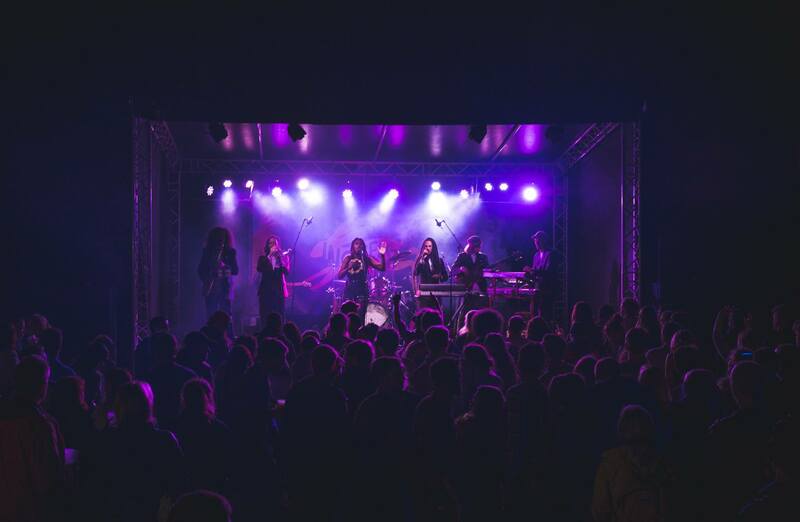 The contrast of the headlining bands – ‘dub-reggae’ group, Backbeat Soundsystem, and dance collective, Dr Meaker – to the rest of the festival was something that I was unsure about when I was researching the artists playing at Inglefest 2018. Largely, Inglefest is a soft, acoustic, indie-come-folk festival – so the transition into the more upbeat or heavier artists playing at night would always be difficult. I found that this was handled by the organisers better on Saturday than Friday: the shift from band to band and genre to genre seemed a more gradual and natural evolution to build excitement and get the audience dancing though-out the day. For me, although Sounds of Harlowe – Friday’s penultimate performers – are a very good live band, having their grunge-soul style seemed to be a step back in the sort of dance-ibility you crave from a band playing at that stage in the day. They would have been better suited earlier in the day, so that the “explosive” “high energy” of Madcap and Toodles and the Hectic Pity, who preceded them, would be maintained for the headliners, Backbeat Soundsystem – who did find it difficult at first to get the crowd going. In contrast, Dr Meaker went on stage off the back of a crowd still reeling from an evening of more energetic acts so who were ready for the party that Dr Meaker provided: the lighting and staging made their set feel like a real production. That this is the only criticism I have shows the great job that the organisers did at Inglefest, everything seemed to perfectly suit its surroundings: the decoration, the stalls, the music, the setting and the weather all seemed to work in together to create the relaxed atmosphere that the organisers craved. The effort put into the weekend really shows, and I can see a real brand and identity beginning to evolve for Inglefest and its chief organiser Will Robson seems to recognise this: when talking about the future of the event he said that he was learning “what really works” in terms of the set up and identified “up and coming bands” as the focus of the festival going forward. The use of branded, reusable cups at this year’s festival evidences this evolution of a brand most strongly, it shows not only a big investment into a tangible memory for visiting customers to try and get the word out, but also it’s a big positive for the reception and reputation of the festival. A lot more events are becoming more and more concerned with their environmental impact so for even a small festival such as this to be at the forefront of the wave against single-use plastics is a massive pull factor for the green-conscious and a tick for the growing reputation of the festival as a whole. One of the biggest problems that these small festivals face is mere logistics: “the questions of when and where” are more important and carry a lot more weight for small projects because of the much smaller budgets and the impacts for accessibility for bands and patrons. I, for one, hope that these can be ironed out quickly because there is real chance that in the next couple of years Inglefest could hit Will’s goal of 1,000 attendees, which could be the first stepping stone to big things for an already brilliant small festival.